Real estate major, Parsvnath Developers has disclosed its interest to enter the telecom sector by offering GSM based services across the country. As an initial step, the company plans to undergo a strategic partnership with a global mobile operators to gain an insight of the fast paced growing telecom sector. Parsvnath Developers has already applied to the Department of Telecom (DoT) to obtain licenses for providing unified access telecom services in 22 circles across the country. Along with GSM services the company plans to offer various other allied services like IPTV, Wi-max, Internet and broadband depending on the necessary approvals. Here’s some bad news for all considering to take Dolphin connections. Government owned telecom firm MTNL has stopped offering new mobile connections for Dolphin in the city. 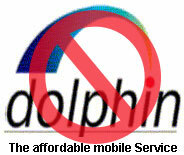 Sources suggest that MTNL has already stopped advertising for its cellular services Dolphin. Is it a new tactic by government to create a deliberate scarcity or something else? However, MTNL officials defend their stand by saying that their equipment supplier, ITI (another PSU) has failed to expand capacity and meet the handset demands. ITI has a technical tie-up with French vendor Alcatel and was given an order to expand its manufacturing capacities more than a year ago but has failed to supply MTNL with the necessary number of handsets. Ironically, there is no such problem in the Delhi circuit as the supplier for Delhi, Motorola has the required production capacity and MTNL can give new connections as much as demand is there. BPL Mobile is offering a new prepaid recharge option known as Jaadu (Magic) Recharge. 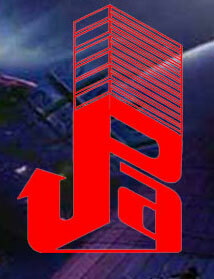 The Jaadu Recharge’s USP is that it gives double the talktime and lower call rates. Interesting isn’t it? Well to say the truth, it is just a rosy picture. We at Tele Gyaan believe in the saying that customer is the king. We have provided you’ll with different stuff each day and now we thought of bringing Customer Speak, wherein a reader is allowed to give his own suggestions and feedback about the service provider he uses. 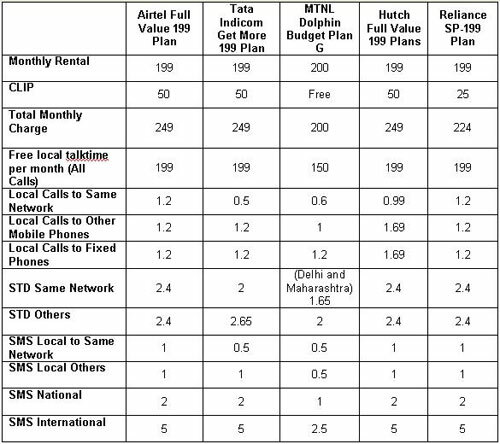 How telecom service providers push for postpaid connections? I happened to visit a local Hutch Gallery Shop to convert my postpaid connection to a prepaid one. The scheme which I was currently on was a good one, but one of the major reasons for changing into prepaid was that it was difficult for me to keep a tab on my callings and I ultimately ended up paying more. As I waited for my turn to come, one of the executives approached me and asked that “Why do I want to convert it to prepaid?” Determined to go prepaid I explained him my plight. He listened to me attentively and replied back that if he could show me another scheme? Reluctantly, I obliged and here I am, still going on with my postpaid connection. The scheme given to me was from a Corporate Plan (only companies are given these plans). [Read more…] about How telecom service providers push for postpaid connections? 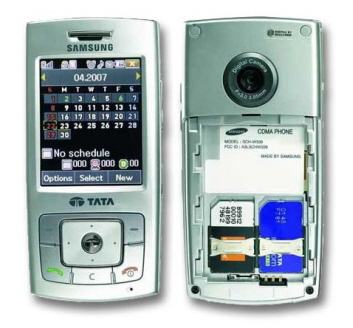 Ever thought of accessing Hutch and Tata Indicom from the same phone. Ever heard of a phone that can support both GSM and CDMA networks at the same time. It wasn’t possible till now but Tata Indicom and Samsung have now unveiled India’s first touch screen based Dual SIM smart world phone – Samsung Duo. The main objective of launching a dual sim based phone is to revolutionize the Indian telecom market and also try to give a non Tata Indicom users a reason to switch over. The phone is equipped with a decent 1.3 MP camera, a 2.2-inch sharp and responsive touch screen, microSD Card slot, MP3/AAC player and a bluetooth function to share your stuff.